Paul McCartney on Wednesday announced his first album in five years, "Egypt Station," which he described as a kind of musical travelogue with each song exploring a new area. The Beatles legend said that "Egypt Station" would come out on September 7 and released two initial tracks, a peppy pop song called "Come on to Me" and the ballad "I Don't Know." The album appears to have little explicit connection to Egypt, with McCartney saying that he took a liking to the turn of phrase "Egypt Station," the title of one of the rocker turned artist's paintings. "It reminded me of the 'album' albums we used to make," McCartney said in a statement. "'Egypt Station' starts off at the station on the first song and then each song is like a different station. So it gave us some idea to base all the songs around that," he said. "I think of it as a dream location that the music emanates from." McCartney recorded the album in Los Angeles and Britain with Greg Kurstin, the in-demand US producer best known for co-writing Adele's mega-hit "Hello." The statement said that the album was designed with a "travelogue vibe," starting and ending with instrumental tracks surrounding songs that form a "kaleidoscopic journey through myriad musical locales and eras." The album is his first since 2013's "New," on which Macca rocked out with a range of younger producers and fresh sounds. The first two tracks of "Egypt Station," by contrast, mark a return to a more classic McCartney. "Come on to Me" tells a tale of playful flirtation -- "Before you grab coat, I’ll try to be discrete," McCartney promises -- with a mid-tempo rock guitar chorus before touches of organs, strings and a closing sitar. "I Don't Know" is driven by piano over a steady pop rhythm section as McCartney questions himself and whether he can comfort a lover. McCartney is one of two living members of the Fab Four and last year appeared on the latest solo album of the other one, Ringo Starr. 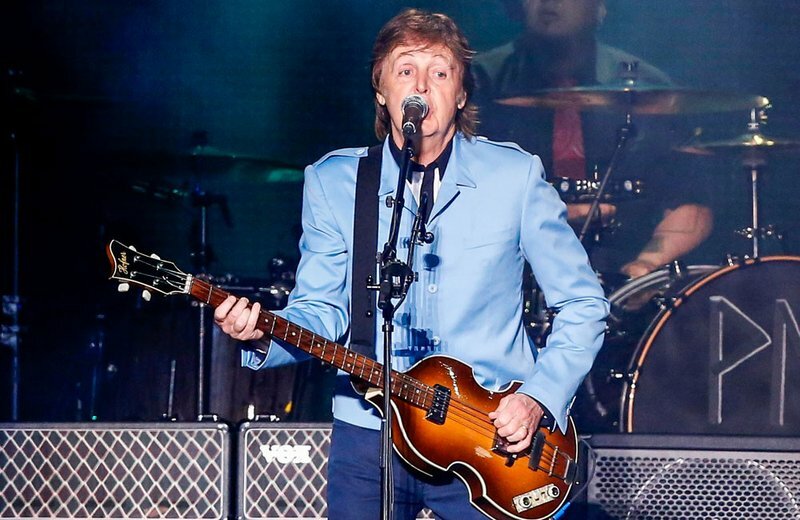 McCartney, who turned 76 on Monday, has shown a burst of energy in recent years that included an extensive global tour throughout 2016 and 2017. But he told Rolling Stone magazine two years ago that it would be ""unimaginable -- and unseemly" to keep performing when he is 80.